Kawasumi Laboratories, Inc. was founded in 1957, as Japan's first manufacturer of disposable blood collection and transfusion sets made by plastic for medical use. Since then, as a pioneer in the field of disposable medical devices in Japan, we have developed various kinds of medical device such as artificial kidney (dialyzer) which Japan had relied on importing in earlier times. We have developed its presence in global market in the area of disposable medical devices such as hemodialysis and plasmaphereis products, blood bags and catheters. Integrated production system from raw materials to finished products has been established at factories in Japan and Thailand. With the quality management system satisfying the quality standard of each country, we provide high quality products to the world. We enhance research and development of advanced medical devices which put less physical burdens on patients and provide the products which meet ever-changing medical needs. 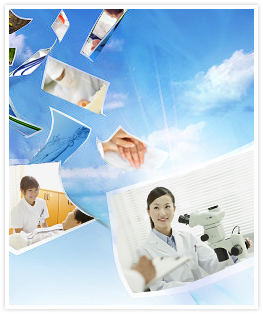 Kawasumi pursues safety, functionality and user-friendliness together with stable supply of medical devices, thereby contribute to human happiness and societies worldwide through medical care.